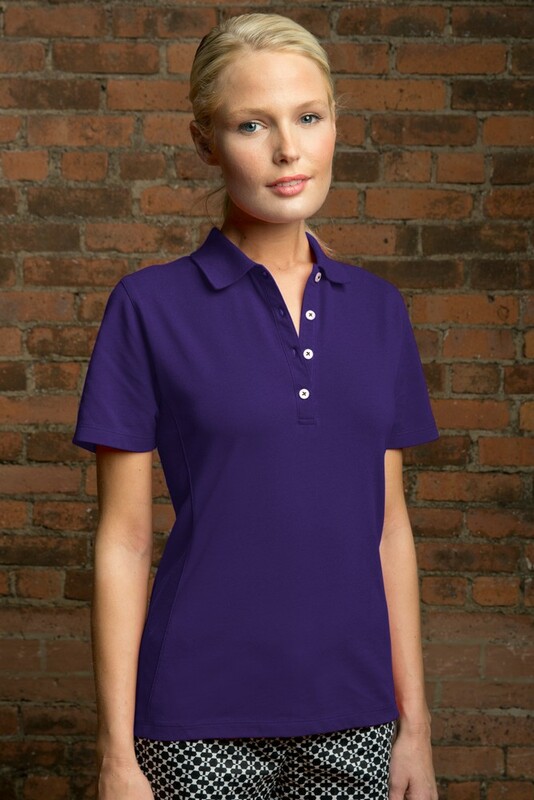 Our personalized logo Women’s Perfect Polo helps regulate your body temperature. 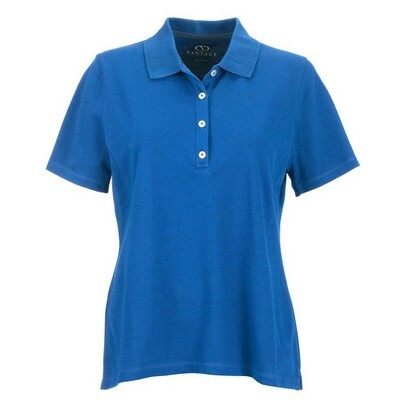 The Women’s Perfect Polo is made from a combination of cotton and spandex material making it soft, absorbent, and very breathable. It helps to regulate your body temperature and ensures that you don’t overheat. It does not cling uncomfortably to your body and sheds odor more quickly than other fabrics. The spandex adds stretch for increased comfort. It pairs perfectly with jeans, khakis, shorts, or skirts for a wardrobe piece you can wear any day of the week. The short-sleeve design makes the polo shirt feminine and flattering in appearance with a perfect fit. Promotion Pros is one of the best places to find custom embroidered apparel online, so stop your search today. Our embroidered and screen printed logos look fantastic and wear even better. Place an order today and discover for yourself the magic of your entire group wearing beautiful, quality promotional gear custom-made just for you!